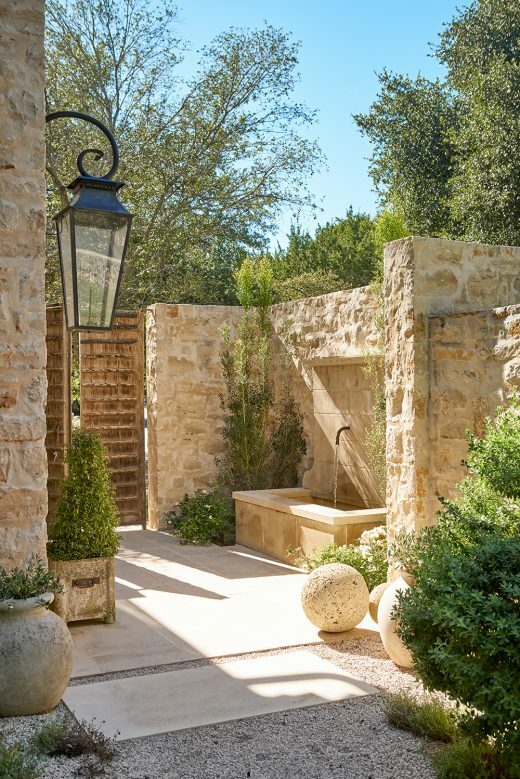 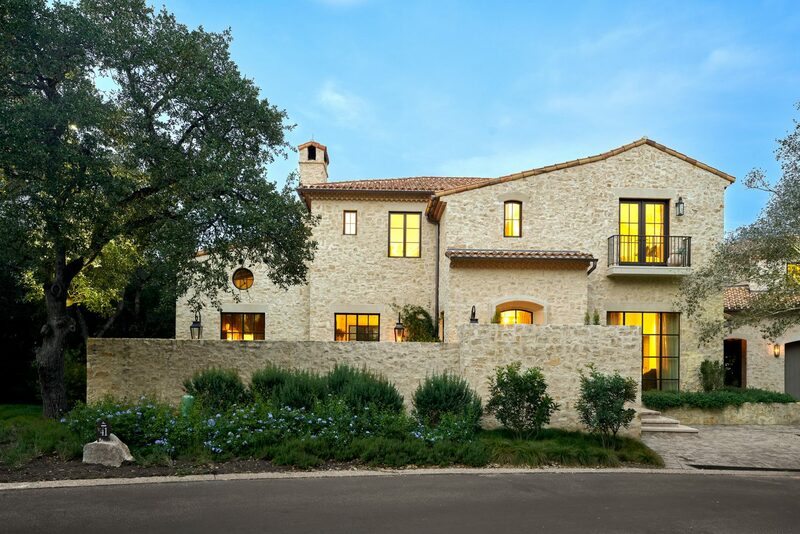 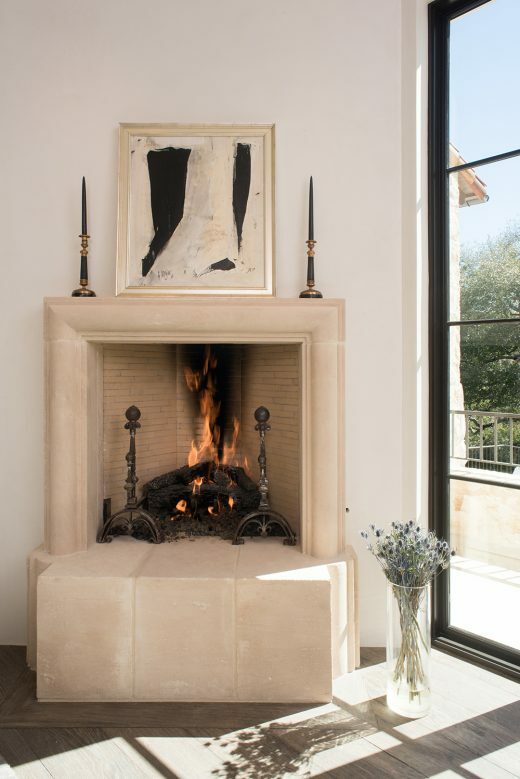 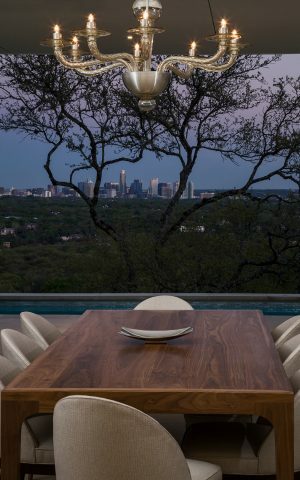 For this home perched above Barton Creek, great care was taken to apply genuine materials in authentic ways, while expressing contemporary elegance throughout the interior. 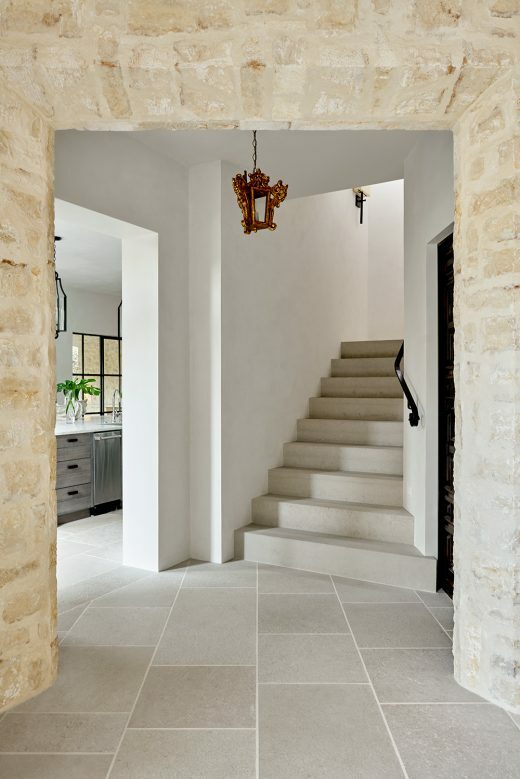 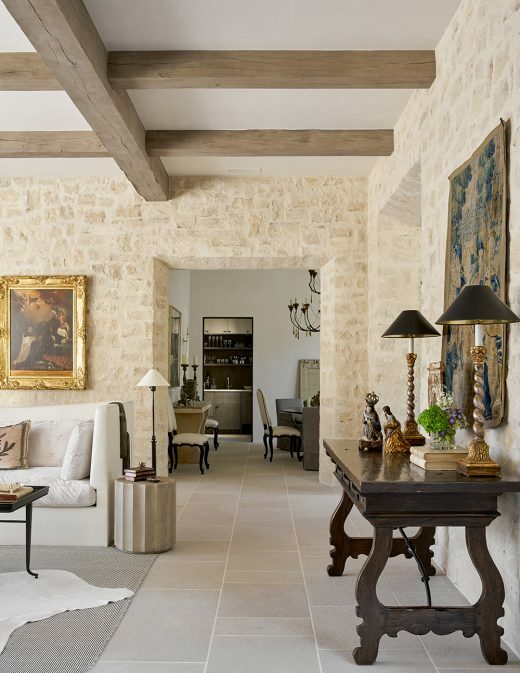 With its genoise eaves, rustic stone, and aged tile roof, this house recalls the rural hill towns and farm houses of Southern France. 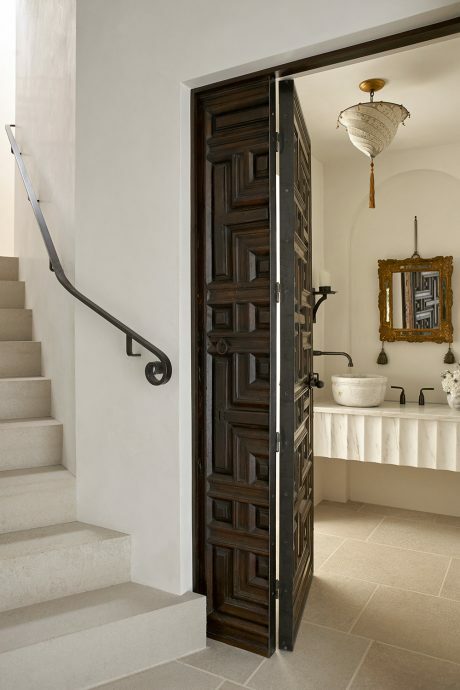 The classic material palette transitions inside with reclaimed oak beams, stone floors, walnut wood paneling, and three-coat plaster walls. 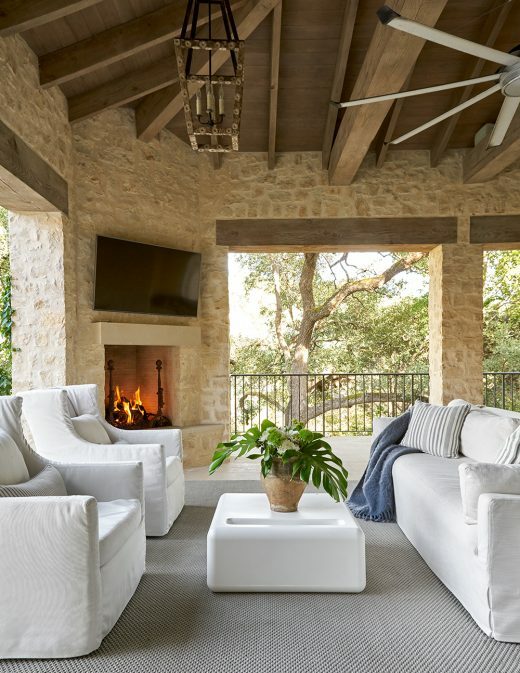 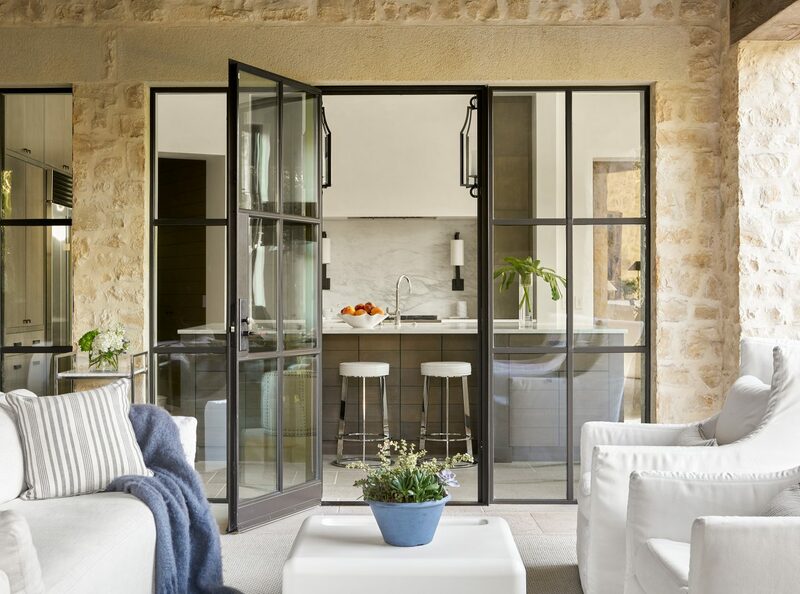 Meanwhile, transitional elements, like large steel windows and doors, lend an airy feel to the interior spaces and maximize views of the live oak canopy and limestone bluffs beyond. 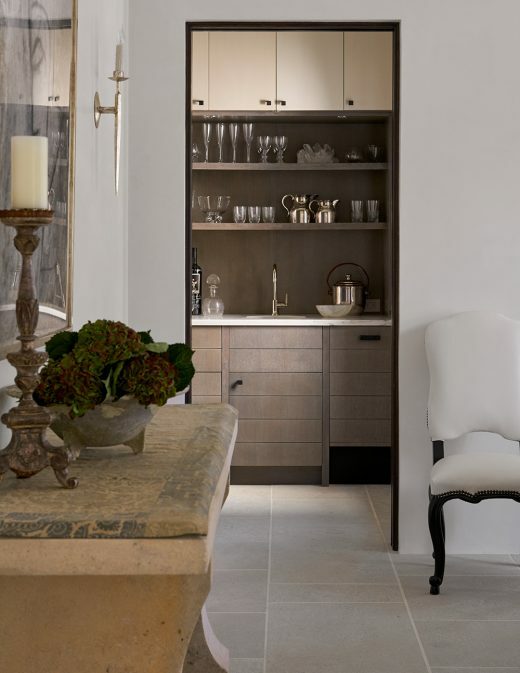 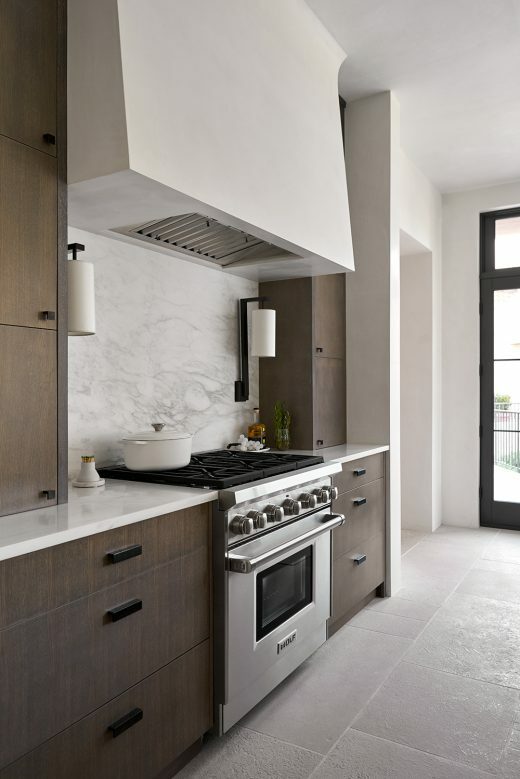 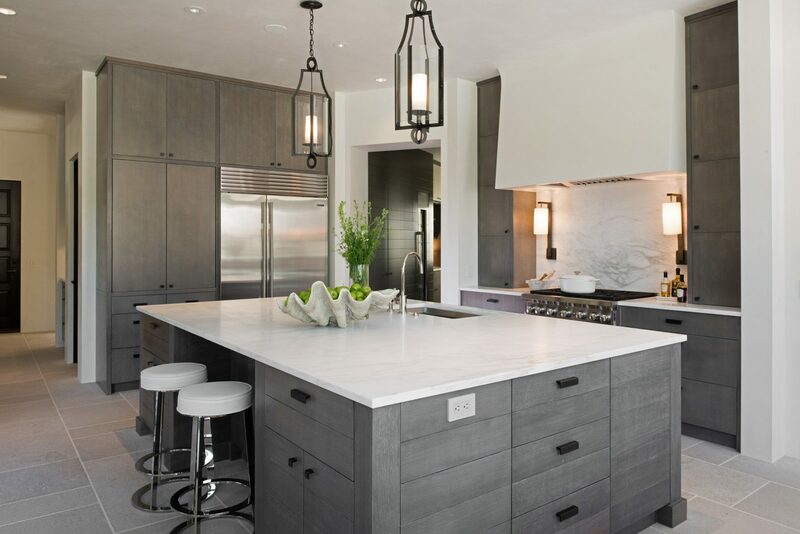 Painted cabinets, contemporary fixtures, art, and furniture all contribute to a sense of luxury and repose. 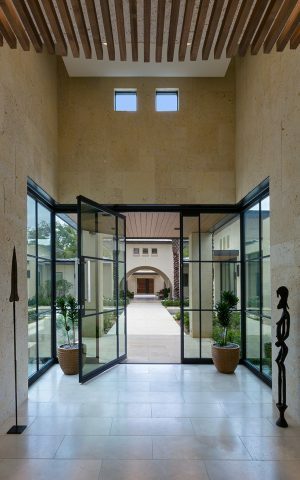 ©2019 chas architects all rights reserved.